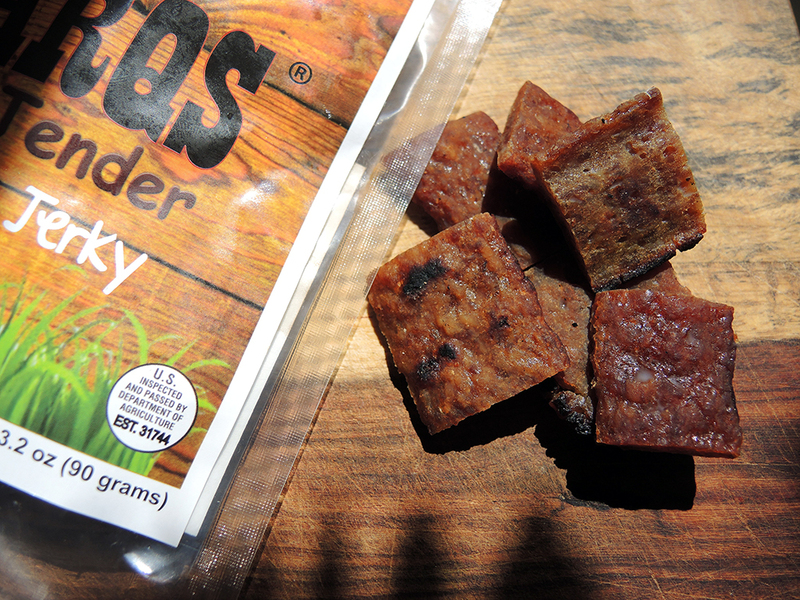 Greg Schweiner is the man behind Charqs Smok’n Tender Grilled Pork Jerky, which is a relatively new product finding its place in the world of dried meat products. Greg reached out to me to give Charqs a try and to let him know my thoughts on his product by sending me a complimentary sample package. After trying this very unique take on jerky, I decided to write a little something about it after getting some more information from Greg in an informal interview. Upon opening the package, the first thing I noticed immediately about Charqs is the smoky sweet aroma coming from the bag. I could already smell the grilled quality of the product, which lent some authenticity to the idea behind grilled jerky. The next thing I noticed was that the jerky itself was made of uniform square or rectangular pieces. Anyone that enjoys beef jerky (or any other kind of jerky) knows that most jerkys don’t come in perfect little shapes. 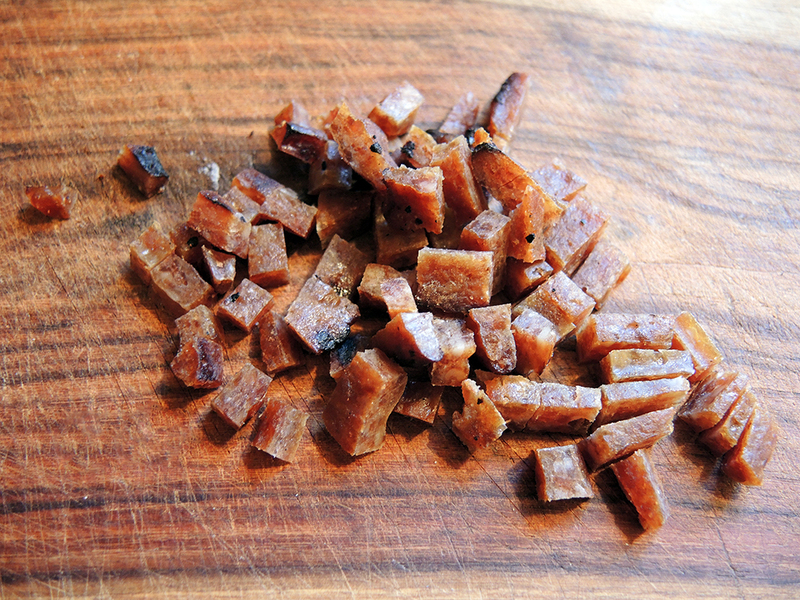 Instead, the pieces are often naturally shaped by whatever slice of meat is used. A further reading of the label informed me that Charqs is “ground and formed.” I’ll be honest that I wasn’t sure how to feel about this because the idea of “processed” meats isn’t always the most appealing. Nonetheless, I gave it a try and the sweet and smoky flavor is unlike any other jerky I’ve tried. The immediate thought that came to mind was that it reminded me of an authentic Chinese sausage flavor albeit less gamy. The other thing I noticed right away was that the jerky was indeed quite tender. After trying out the jerky, Greg Schweiner recommended that I try using it to cook. He suggested that I could perhaps try replacing bacon in a recipe. What I ended up doing was to chop up a few pieces of jerky, saute them in a little bit of butter, and then add two whisked eggs with some shredded cheese to make a cheesy omelette. Yes, I know that sounds strange, but the truth is that it kind of worked. 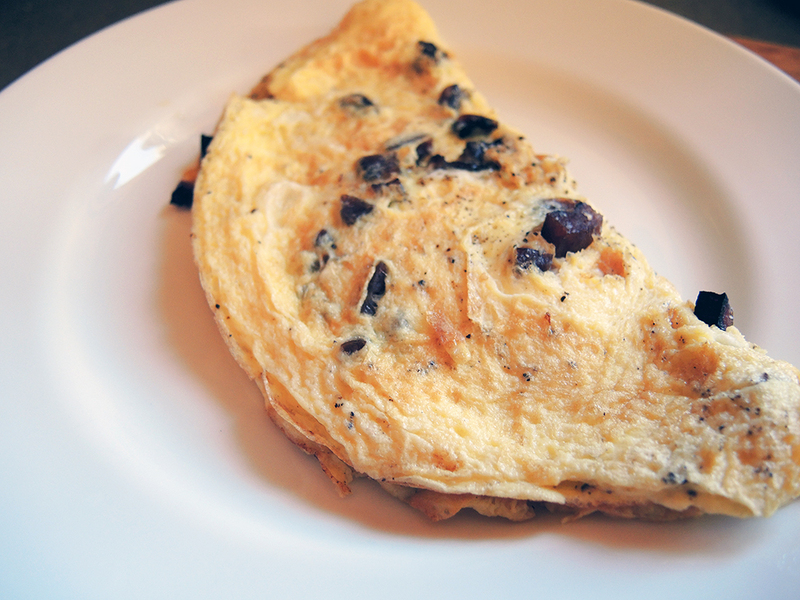 I not only enjoyed the omelette, but I thought that this would be a great dish to make when camping because the shelf-stable Charqs travels well. I wanted to know more about Charqs. More specifically, I wanted to know how Greg got into the jerky game, how he decided on the sweet smoky flavor, and why he chose to go with the “ground and formed” method to create his product. Me: When did you decide to make jerky commercially? Greg: The idea for Charqs actually stems from my wife’s and I love of world travel and street food. Seems where ever we went, we would come across sausages and dried meats with flavor and textures unlike anything in the States. Often we would smuggle our treasures home to share with friends, who all seemed equally delighted. In 2009 I was actively looking to start a new business and the idea of doing something with our international jerky discoveries kept coming to the top. At first I tried to work out a deal with some Asian companies to either franchise, import or license their product here, but those deals could not get worked out for one reason or another. Me: How long have you been making jerky? Do you have any culinary training or do you just love food? Greg: So, with no jerky making background, or even culinary background, I picked up a small dehydrator and smoker and went to work in my kitchen experimenting and testing jerky recipes. I also consulted with every expert I could find, both in meat processing and established chefs. Over the next 5 years I dabbled in this making some 250 batches of jerky as I learned and perfected the art. 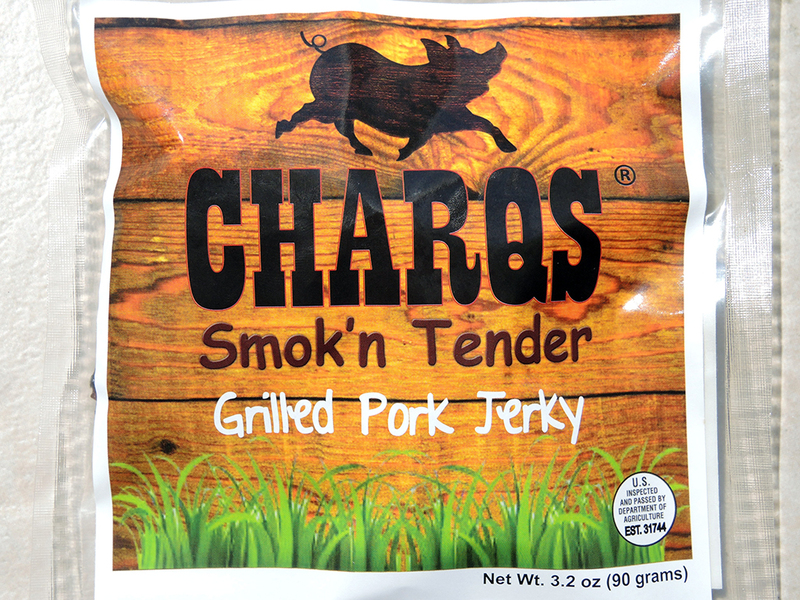 In the spring of 2014, I finally hit upon the flavor and texture combination I was going for, and Charqs was born. I found a local meat processor, who had been a sort of consultant through this process, and he allowed me to use his facility to experiment with large batches. We suddenly went from making 3 lb test batches to 100 lb commercial batches. A bit scary when you do it for the first time. From there we perfected the recipe and processes for commercial production and eventually transferred production to a much larger USDA facility in Iowa. Me: I thought the smoky flavors and even the char on the jerky were nicely done. I also found the sweet flavor of the jerky really interesting. It reminded me of Chinese sausage, which has that sweetness, but the jerky was less gamy than that kind of sausage, which is nice. How did you settle on these these flavors? Greg: Very astute observation in your Chinese sausage comment. For the flavors, I was trying to capture the essence of some of the Asian jerky we found, but without some of the odd after-tastes that don’t usually appeal to the American palate. It is sort of a toned down version of Asian flavors with some Western spices added for good measure. Of course, the exact recipe is highly classified, but we think Charqs offers a flavor profile that cannot be found anywhere else. One thing that makes Charqs so unique is that it is actually grilled on an open flame. It is not BBQ-flavored, it is actually BBQ’ed. This final process really seals in the flavors as the spices and sugars interact with each other to give it a completely different dimension. Me: Why ground and formed? Greg: Why ground and formed? We were specifically going after something different in the market place, and one of the big complaints about jerky is that it is too tough. Ground and formed allows for a more even distribution of flavors and results in a much more tender product. We say Charqs is so tender a baby could eat it. That was an easy decision for us. 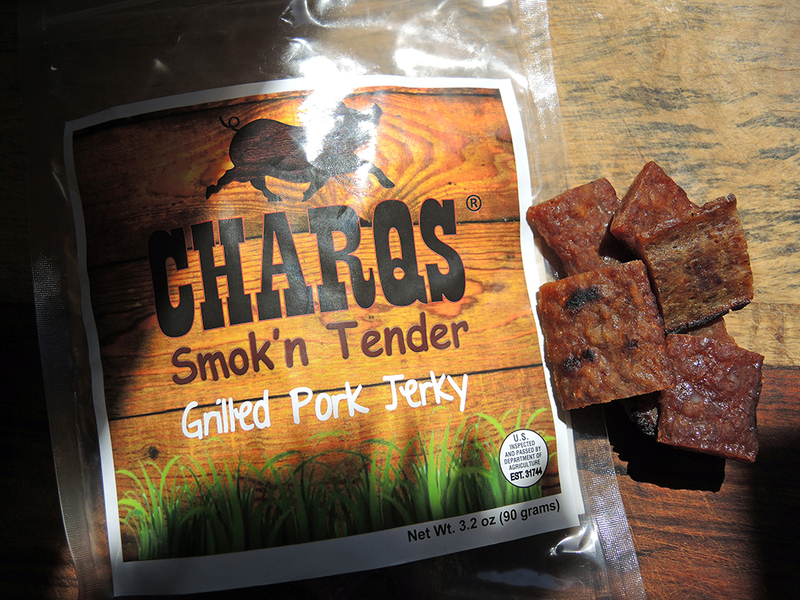 So in short, Charqs was born out of a love of jerky, the desire to start a business, the idea that we wanted to so something very different than traditional beef jerky, and pure determination. I hope this comes to England!